Adding to the harmful effects of the plastic additive BPA a Washington State University researcher has found that the chemical can disrupt a women’s reproductive system causing chromosome damage, miscarriages and birth defects. Geneticist Patricia Hunt and her colleagues at WSU and Davis at the University of California, conducted the study on the Rhesus monkeys as they have the most human-like reproductive system. 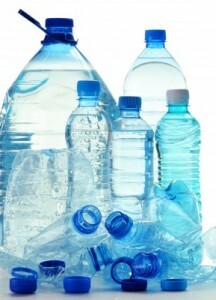 Bisphenol A or BPA is found in plastic bottles, the linings of aluminum cans and some dental fillings. Hunt and her colleagues say that it can alter the mammary development in primates and may lead to cancer. They are also concerned that the BPA exposure could actually lead to changes in generations of women. For the research, Davis gave daily BPA doses to gestational monkeys and small doses to see how that affected the reproductive system of female fetuses. She saw that in the earliest stage of the adult’s egg development, the egg cell failed to divide properly. Earlier the same was also found in the case of mice. An egg that is fertilized but has wrong number of chromosomes may lead to birth defects or abortion. In monkeys that had been exposed continuously, Hunt further found that in third trimester, the fetal eggs were not packaged appropriately in follicles, structures in which they develop.